Plans for the redevelopment of no. 1 & 1A Old Bond Street has been granted planning approval by Westminster City Council. EPR's design will reconfigure and reinvent the existing Grade II listed building, creating a flagship retail store at the gateway to one of the world’s most prestigious retail streets. The proposal will create 3,500 sq/ft of dynamic retail space across the basement, ground and first floor and will also include 1,500 sq/ft of flexible office space and a residential apartment. No. 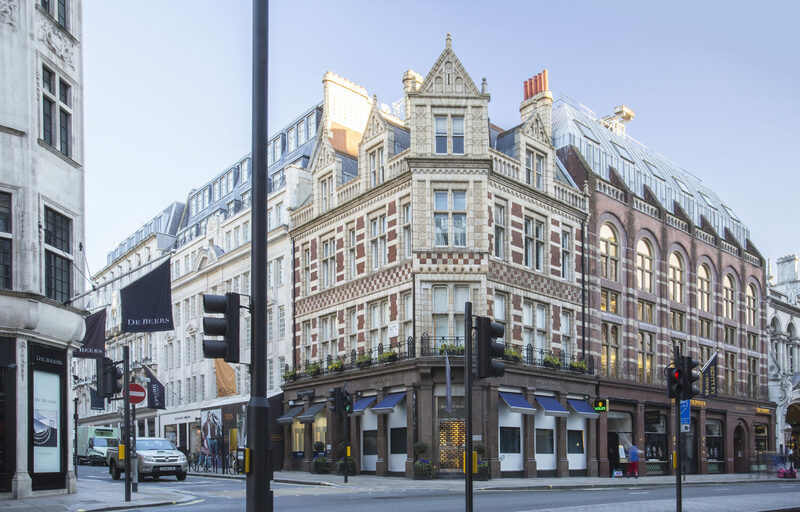 1 & 1A Old Bond Street was originally built in 1880 by renowned architect Alfred Waterhouse and occupies a prominent corner plot at the junction of Old Bond Street and Piccadilly within the Mayfair Conservation Area.